Mega Moolah has a little bit of everything; from wilds to scatter, free spins and great payouts as well as 4 different jackpots. It’s time to take a slots safari, so let’s take a closer look at everything Mega Moolah has to offer. 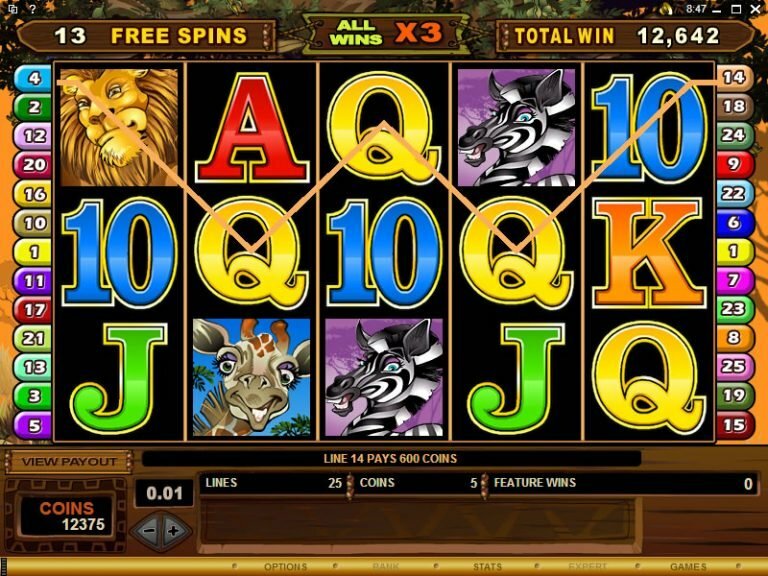 From the instant that Mega Moolah loads on your screen, its African safari theme, filled with friendly animals, welcomes you, but what will catch your eye the most is the jackpot tickers across the top of the screen that are constantly growing. Mega Moolah features 5 reels and 25 paylines and can be played on all devices including mobile and tablets. You can configure how many lines and the bet per line. Wilds – The Lion symbol is wild, and it is the top paying symbol, plus it doubles the win amount when substituting for other symbols. The lion substitutes for all symbols excluding scatters. 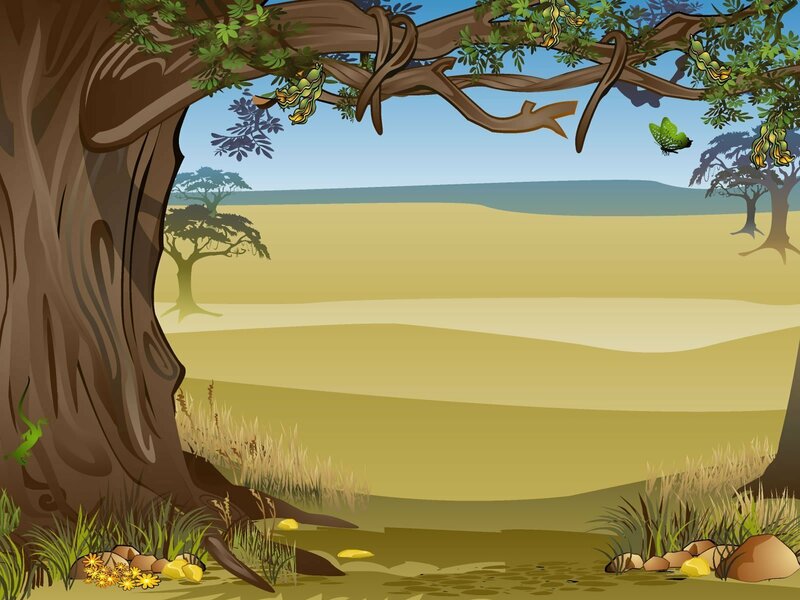 Scatters – The symbol is the monkey which pays out for 2 or more monkeys anywhere on the reels. If you get 3 or more scatters, it triggers the free spins, but more about that in a moment. Mega Moolah has 6 higher paying symbols, with all of them being animals. As mentioned, the Lion is the top paying symbol, with a healthy 15,000 for getting 5 lions on a payline. At the bottom of the animal food chain is a buck that pays out 250. On the other hand, the low value symbols include the playing cards of A, J, Q, K and 10. It is important to note that payouts are calculated based on the line bet, i.e. the amount you have set per line and not the total stake amount. Also, winning combinations pay from left to right only, except scatters. Mega Moolah doesn’t sport a bonus round or any special bonus features; however, you could consider the jackpot wheel a bonus, especially if you hit the multi-million jackpot. Mega Moolah does have a free spins feature, which is triggered by getting at least 3, 4 or 5 monkey symbols at random on the reels. For your efforts, you will get a total of 15 free spins. Furthermore, payouts will be tripled during the free spins round. It is possible for you to earn more free spins during the round should you land additional scatters on the reels. This is the slot’s main appeal. Not one, not two, but a total of 4 progressive jackpots are on offer here. This progressive jackpot feature is activated at random, unlike the free spins. The randomness is maintained thanks to the RNG involved, so there is nothing special you need to do, but simply play and hope you are the lucky player that gets to spin the jackpot wheel. Once you get a chance to play the jackpot round, you’ll have to spin the wheel. This is quite identical to the Wheel of Fortune. Your main objective is to land on the Mega jackpot which is represented by a white segment on the wheel. There are 4 jackpots up for grabs as mentioned earlier. Keep in mind that the higher your bets, the better your chances of striking a win. The first jackpot is the Mega Jackpot. This is the highest of the 4 and it never dips below 1,000,000 coins. On average, the Mega Progressive payouts out every 9 weeks, an average of $5 million. Some of the biggest winners ever include John H. from England who banked an incredible £13.2 million and Marcus Goodwin who won an incredible $11.6 million. The other 3 progressive jackpots are: The Major which starts at 10,000, the Minor that starts at 100 and the Mini that starts at 10. What’s even more thrilling about these jackpots is the fact that you can see their values increase as you play. Mega Moolah has 25 paylines and you have the option to select how many you want to play at a time and the stake per payline. There seems to be a mixed consensus on Mega Moolah’s RTP; but it seems that its generally reported at around 88%. This is somewhat lower than most slots. Mega Moolah has a low to medium volatility, so you can expect wins fairly often, but that Mega Jackpot may elude you for some time. Mega Moolah is a thrilling slot from Microgaming that has stood firm despite being around for quite a while. The visuals are cheerful and bright with a rather relaxing soundtrack that plays in the background to keep you company during gameplay. Apart from that, you have a chance of playing for the progressive jackpot round where you get to play one of the 4 jackpots available. It might be a bit difficult to activate the feature, but Mega Moolah comes with other bonus features that keep you winning to maintain a smile on your face, including free spins and the wilds. All in all, Mega Moolah is a fantastic slot worth your time, especially if you are looking to slay one of the progressive jackpots.